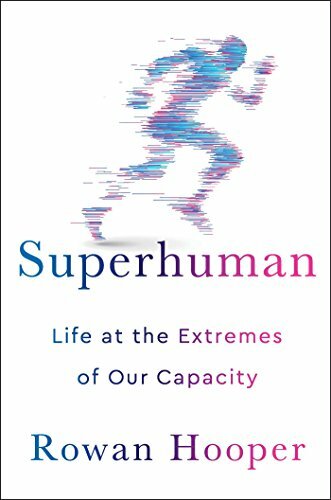 In this popular science book, British writer Rowan Hooper surveys personal stories, psychology and biology in investigating people with extraordinary abilities and capacities. He divides the work into three sections: Thinking, Doing and Being. The scientific question is whether people's extraordinary nature is due to their own efforts, their childhood training, their geographical or cultural location, or their genetic make-up. The tone of the book is conversational. Hooper gives his impressions of the people he meets, his preparation for meeting them, his reactions to them, and his reflections afterwards. There's a good deal of science and the book should be instructive to most readers. The first 4 chapters are on Intelligence, Memory, Language, and Focus. For intelligence, Hooper focuses on chess playing ability, and meets people who have a lot of it. This is easier to quantify than general intelligence, although he recognizes that there is only a moderate correlation between chess ability and IQ. He also discusses some IQ research and debates over its validity as a measure of intelligence. His setting out of the issues is thoughtful and helpful, and while the book is by no means scholarly, it could provide an entry into some scholarly discussion for interested readers. Readers will probably be familiar with some of the topics Hooper discusses, but fewer people will be familiar with the psychology of excellent singing or resilience. The collection of topics is surprisingly diverse, which makes the book a little scattered but makes it more interesting. Definitely an enjoyable read.